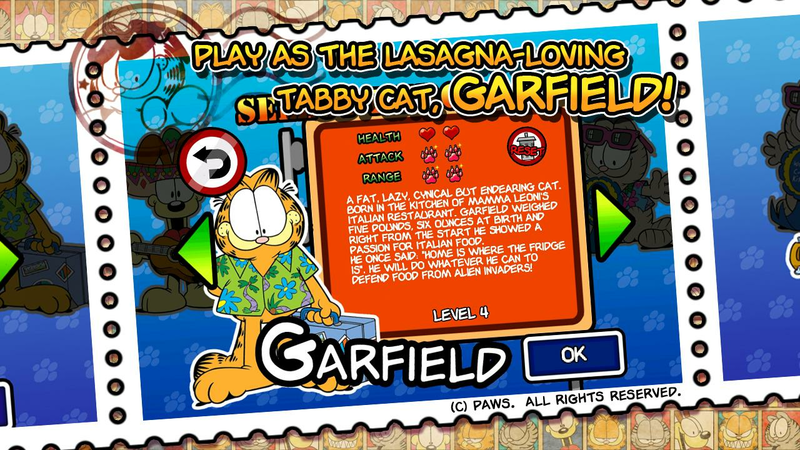 Garfield is back, now with multiplayer! 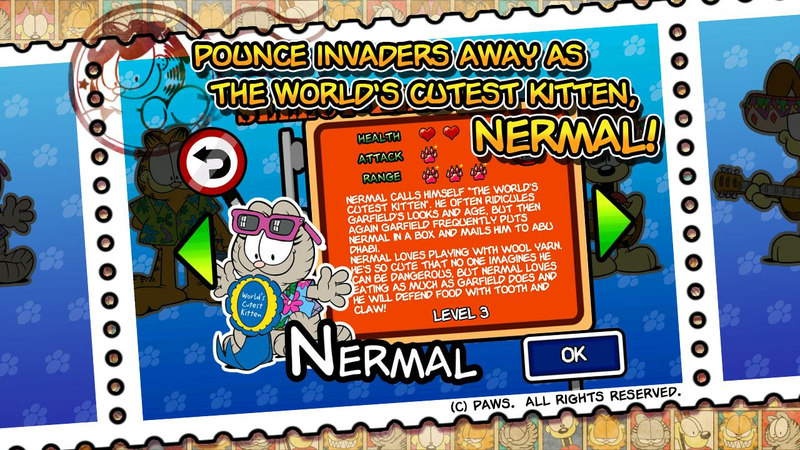 Join the fat lazy cat in this epic struggle against ridiculous alien overlords! Only Garfield can protect the world from the menace of the Food Invaders; these nasty aliens did not take kindly to their defeat in the first installment of this series and now they’re targeting the whole world! So begins Garfield’s Defense 2: The Food Invaders Strike Back! Get ready for another alien-whacking adventure – FREE! Garfield’s Defense 2: The Food Invaders Strike Back is brought to you by Web Prancer, the people behind the original Garfield’s Defense, Feed Garfield, Garfield’s Diner, and other top-rated Garfield games. After getting crushed by Garfield and the rest of the Arbuckle household in the first awesome game, the Food Invaders withdrew to plan revenge on our little blue planet. The aliens abandoned their plans to capture Jon’s fridge, and now plot to take over all food, everywhere. It is a dark time, and the fate of our planet hangs by a thread. The aliens are descending on New York, Paris… even Santa Claus in his North Pole retreat is not safe! 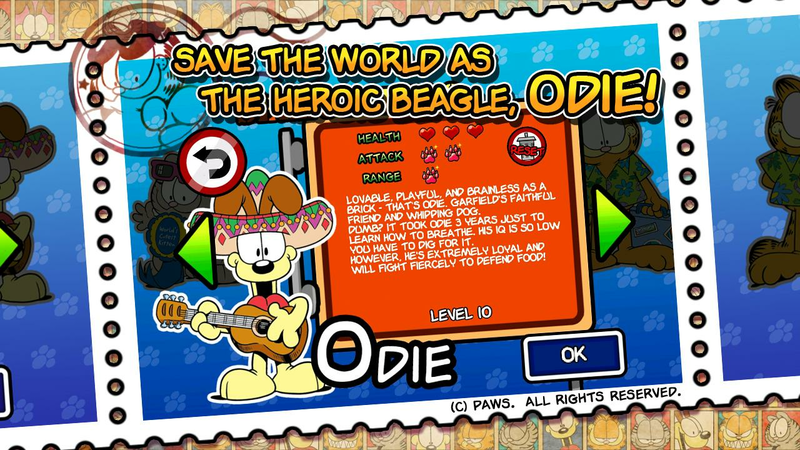 But the Food Invaders must first overcome our heroic defenders: choose to play as Garfield, Odie, or Nermal, and command legions of characters from the beloved Garfield comics including Wade the duck, the sheep Lanolin, Orson the pig and more! Arm yourself with new skills and new game mechanics to wage cartoonish battle against the Food Invaders in three gorgeous locations around the world! Garfield’s Defense 2: The Food Invaders Strike Back combines the best elements of action, siege, tower, strategy and defense games with colorful graphics straight out of the original comic. New in this sequel: challenge your friends to a battle over the last slice of pizza in the new player-versus-player mode! Also: three new locations, new skills, new items, and Liz, Jon’s girlfriend! All this and more in one delicious free game!